TAG Super Seminar – hear what our attendees said…. At the TAG Super Seminar this year, we asked some of the attendees what they thought of the seminar. 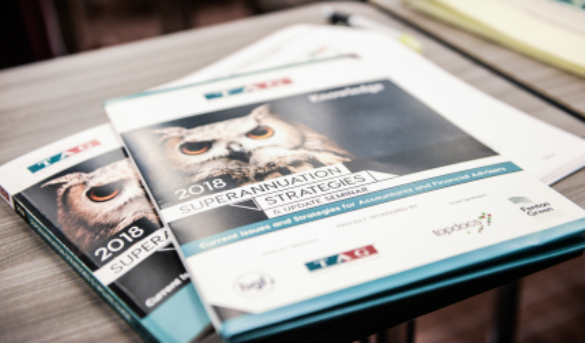 The annual TAG Superannuation Strategies Seminar offers clever strategies and technical knowledge to accountants and financial advisers. Michelle Griffiths and Brenda Hutchinson backed by the TAG team, are considered industry experts when it comes to superannuation. We have over 400 attend the seminar, with many coming back each year to hear our practical solutions to technical problems. Our seminar has now been running for over 20 years and is Australia’s longest running and most successful superannuation seminar. Next PostNext Do you Really Need $1m to Start a SMSF?